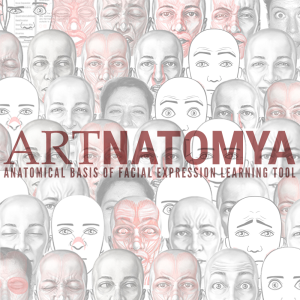 ARTNATOMYA is an interactive tool intended to facilitate the teaching and learning of the anatomical and biomechanical basis of facial expression morphology. 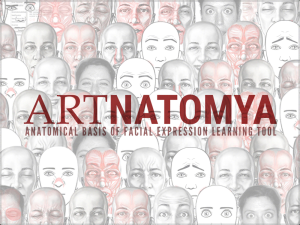 The primary goal is to provide the student and those interested, a convenient reference tool, facilitating familiarity and experimentation with the underlying anatomical structures using correct biomechanical representation of the different facial expressions. 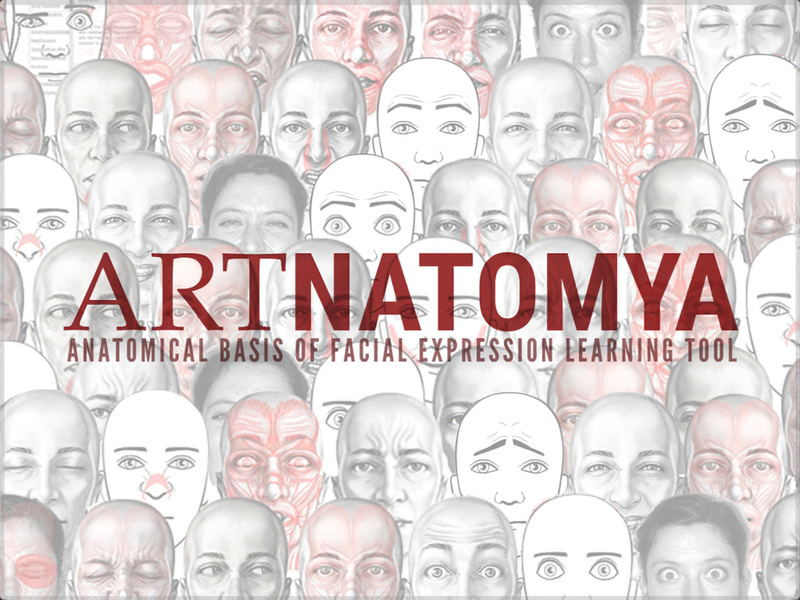 The task of the professor is also facilitated by the use of an expandable animated image; in addition interaction (controlled by the professor or students) is multifunctional, since the different levels and independent functions allow connection of the application contents to any educational program, providing real time delivery of examples to the student. 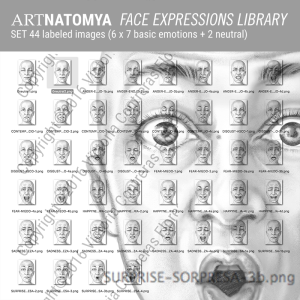 This is a compact tool, providing a basis for dealing with potential problems related to the proper representation of facial expression, eliminating the need for cumbersome teaching aids such as slides and photocopies etc. Additionally this digital presentation tool provides a complete supporting document solution for those institutions not equipped with such resources.